How badgers came to be persecuted – but why? Badgered to Death is Badger Trust Chief Executive Dominic Dyer’s account of the political and commercial factors behind the English badger culling policy. why would these interest groups promote a policy if it was unlikely to contribute noticeably to their stated aims? why were they able to implement this policy despite, as Dyer reports, the lack of evidence of efficacy? Answering these questions is vital to the development of any strategy to stop the badger cull and prevent similar futile persecutions in future. So how does Dyer succeed on these fronts? In tracing the history of badger politics in Britain, Dyer argues that the persecution of badgers started as a working class pastime in coal-mining areas. The event that led to the ‘political and landowning establishment’ joining in was the discovery of bovine TB (bTB) in a dead badger near a farm that had suffered an outbreak in 1971. Further research concluded that about a sixth of badgers carried bTB, leading the government to assume that they acted as a disease reservoir that infected cattle. The discussion of a critical 1975 Government experiment (pp28-9) involving the close confinement of bTB-positive badgers with calves is illuminating, though a reference would have been very useful. According to Dyer, it took several months for the calves to eventually catch BTB. Apparently the current culling policy rests on this experiment, despite the scientists concluding that basically ‘it was difficult for badgers to spread TB to cattle’. Nevertheless, this was enough to persuade the Ministry for Agriculture, Food and Fisheries (MAFF) to start gassing badgers in 1975. But by 1980 this had created a public backlash, so gassing was halted while the government established a review of bTB and badger ‘control’ under Lord Zuckermann, President of the Zoological Society of London. Dyer claims that Zuckermann’s conclusions were ‘highly controversial’: bTB infection in badgers was increasing significantly and spreading from its epicentre in the southwest. Dyer does not report on Zuckermann’s position on how the disease in badgers relates to the disease in cattle. Gassing restarted but was halted eight months later in July 1982 when research found that it caused serious suffering to badgers. However, according to Dyer, ‘many leading conservationists and scientists remained very unhappy’ with the government advisory panel on badger for not opposing gassing earlier on cruelty grounds. Dyer picks out panel members the RSPCA and British Veterinary Association (BVA) for implied criticism, though earlier he mentions that the National Federation of Badger [protection] Groups was also on the panel. It would be reasonable to assume that they would be the most likely target of criticism for apparently not opposing a policy directly against their aims, so it curious that Dyer doesn’t also blame them. It is hard to delve deeper into these assertions because Dyer doesn’t name the ‘many’ scientific and conservation critics of the RSPCA and BVA, and references are not provided. When authors are making claims that are controversial, challenging dominant positions or counterintuitive, then it makes sense to stand them up properly with detail and references, otherwise their credibility is undermined. While the story rattles along in journalistic style at a good pace, some readers – especially those not already opposed to badger culling – could remain sceptical about Dyer’s narrative, which is a shame because it is precisely those people Dyer needs to convince. Despite the sometimes loose narrative, the book contains a number of fascinating and important revelations. For example, Dyer pins significant blame for the massive rise in TB post-2000 (pp35-7) on the NFU for pressurising the government to override the Chief Vet’s advice and allow rapid, poorly-controlled cattle movement and restocking after the foot and mouth outbreak of 2001. This led to the biggest ever annual increase in bovine TB incidents. The 1997 Krebs report is briefly summarised by Dyer, but its importance in terms of helping to understand the persistence of the belief that badgers are a significant cause of bTB in cattle is overlooked. Dyer paraphrases Krebs as saying the evidence was ‘shaky’. While broadly true, this characterisation glosses over important features of Krebs’ findings. In fact Krebs concluded that there was ‘strong circumstantial evidence to suggest that badgers represent a significant source of M. bovis infection in cattle… However, the causal link… has not been proven’. In essence, the contribution of badgers ‘to the TB problem in British Cattle’ was at that point a hypothesis that needed to be tested, according to Krebs. This raises some vital but complex questions about how individuals and groups – in this case, pro-culling interests – tend to interpret information in ways that are not objective, but rather distort it to suit pre-existing prejudices or perceived self-interest. If there was ‘strong circumstantial evidence’ that badgers spread bTB to cattle, then it helps understand why some farmers and their associates have assumed it to be factually true. In other words, these are forms of confirmation bias, similar to the way people who generally oppose state regulation and are emotionally attached to unlimited energy usage tend to deny evidence of climate change because it would question their behaviours and political stance, rather than on genuine evidential grounds. The Labour Government took up Krebs’ recommendation to carry out research into badger-cattle bTB transmission by commissioning the Randomised Badger Culling Trial (RBCT). This is the largest and most reliable body of data on the badger culling hypothesis, and concluded that it could make no significant contribution to tackling bTB in cattle. However, the-then Government Chief Scientific Officer David King’s questioning of the conclusions of the RBCT was politically critical. While the rebuttal by RBCT scientists John Bourne and Rosie Woodroffe is mentioned by Dyer, the pros and cons of this dispute are not discussed in detail, which is a shame given the pivotal role King’s position is said to have played in ‘Cameron’s cull’ starting in 2012. It appears that King’s pro-cull position helped to cement an alliance between Cameron’s Conservative Party after he became leader in 2005 and the CA and NFU. Dyer’s account implies that, building on long-standing social and cultural links, the Conservatives perceived the NFU and CA as a significant resource to help regain political strength and win the 2010 election. Thus, with Cameron pledging to support CA/NFU positions on hunting and culling, the CA/NFU reciprocated by giving practical help to Cameron in rural constituencies during the 2010 election (this acutely political behaviour by the CA is intriguing given their frequent tactic of accusing animal welfare groups of ‘politicising’ bloodsports issues). Dyer concludes that Cameron’s alliance with CA/NFU ‘paid dividends at the ballot box’. Following the election, Dyer notes that many Lib Dems MPs in the south west of England were under pressure from local farmers, so the badger cull policy was included in the Coalition’s Programme for Government. The electoral impact of badger culling is a really important factor in understanding the policy, though Dyer’s discussion leaves an important question hanging. Cameron is said to have believed that Labour’s policy of opposing hunting and the badger cull was a vote loser for Labour. On the other hand, Dyer also says that Labour – specifically David Miliband – believed the opposite, that it was badger culling that would turn voters off. This raises the question of which of these significant positions is true, which in turn would help answer the second basic question posed at the beginning of this piece concerning how pro-cull interests managed to get what they wanted. Similarly, Dyer acknowledges that the NFU dominates Defra and that productivity and competitiveness trump animal welfare and environmental considerations in the department. His reaction is to sympathise with Ministers having to make difficult decisions. But, what is the background that makes these decisions ‘difficult’? Is it because of the relative political power of the opposing groups, the scientific evidence, and/or the legal framework underpins this? The trouble is, focussing on the micro-level of individuals and specific decisions is only a small part of the explanation of why pro-cull forces have greater power than anti-cull groups. In trying to understand why badger culling has come to pass, Dyer seems to rely significantly on alleged errors and weaknesses of the ‘Green Movement’, in particular for failing to engage in ‘peaceful direct action’, thereby placing a great deal of faith in the influence of protest and public disquiet. He bemoans the ‘corporatisation’ of green NGOs such as Greenpeace and Friends of the Earth for their failure to oppose the badger cull which, he claims, they would have done in the 1970s. There may well be something in that broad charge but in relation to the badger cull it seems irrelevant. These organisations have long since switched their focus to environmental sustainability rather than animal welfare. While relatively wealthy, none of these organisations have infinite resources. To be fair to Greenpeace, although they have not had the appetite to take on the farming industry and government over badgers, they have not hesitated on issues such as neonicotinoids – and given their direct action against Russian oil drilling, it seems churlish to accuse them of lacking courage! The green NGOs have had an eye on political access, which Dyer blames for eroding their protest activity, but the reality is that to some extent that has worked. In the battle between ‘industry and economic growth’ and a clean and sustainable environment, the green NGOs have at least got a few toeholds. Dyer, however, is wrong to conflate ‘conservation’ and the ‘protection of wildlife’ (if that is taken to refer to the welfare and lives of individual wild animals). Not only do they have different ethical priorities but also conservation issues do have some limited political leverage – e.g. CITES aims to protect populations of animal species to prevent extinction. On the other hand, animal welfare is a different matter, with little or no political weight within government. Badgers, while they suffer as a result of the cull, are not endangered, which leaves them extremely vulnerable. Dyer’s discussion of the RSPCA’s response is potentially more relevant. But despite the bravery and commitment of those engaged in ‘peaceful direct action’, if that is deemed to be the best option for political action, then it is a sign that the battle had been largely lost already. This may help save some badgers on the ground, which is wonderful as far as it goes, but this is a desperate rearguard action, mopping up some of the damage rather than preventing it in the first place. In regard to the big picture, the degree of protest etc. that might persuade the government to change its badger culling policy is not explored by Dyer. The reality is that the government largely ignores public protest on animal protection issues – and almost certainly could ignore the maximum level of protest that any possible pro-badger movement could muster even if every animal protection NGO devoted all their resources to it. Dyer’s emphasis on protest as the most significant means of achieving policy changes reveals an unspoken ‘Westminster model’ assumption: a naive faith in the representativeness of our political system and its sensitivity to public opinion. A further sign of this optimistic framing is the assertion that the RSPCA has gained ‘political access’. But if this were true, it begs the question, why has the government still decided to pursue such a perverse, monstrous cull policy? What Dyer needs to take into account is the distinction between genuine insiders and ‘peripheral insiders’, the latter often being advocacy groups granted meetings and places on advisory committees but denied real influence over policy. The practical concern from an animal protection point of view is that if committed and passionate advocates such as Dyer don’t have a detailed map of the social landscape they move in, then they are going to struggle to make headway for the sake of animals. The real solution, which had emerged from our research here at the CASJ, lies in addressing the institutionalised dominance over Defra by the NFU and its goals of maximising short-term productivity and profits for the farming industry. The flipside of this is that the protection of animal welfare has no representation within government. Dyer clearly understands that industry dominance is a major problem: in chapter 18, ‘Farming Future’, he provides some vital historical context by relating how the NFU and its financial interests have captured agriculture policy since the second world war, prioritising intensive agriculture to the severe detriment of public health, the environment and animal welfare – including exacerbating bovine TB. But the book does not explicitly address the task of how to overcome this situation, which is essential if policies such as the badger cull are to be prevented in future. Nevertheless , the book contains illuminating chapters on the BBC’s pro-badger cull bias, illegal badger persecution by some farmers and the compromised, incoherent support for the cull by the British Veterinary Association, driven he claims, by the British Cattle Veterinary Association. As Dyer points out, the BVA’s support for the cull gives the policy critical credibility. It appears that dogma and livestock vets’ prioritisation of farmers’ interests trump any commitment to animal welfare and science. Dyer also describes how economic pressures on the dairy industry mean that dairy farmers, especially smaller ones, are being forced into practices which increase the spread of bTB such as moving and selling cows. At the same time, the industry’s prioritisation of exports is also driving intensification and blocking moves to develop a bTB cattle vaccine. As a result, Dyer explains, the industry is caught in a vicious circle which is facilitating the badger cull while exacerbating the real drivers of bTB. Meanwhile, the European Commission has submitted evidence to the House of Commons Environment, Food and Rural Affairs Committee that bTB is largely down to the farming industry and government for weak bTB controls and inadequate testing . Wildlife such as badgers are deemed to be a minimal, largely theoretical source of bTB. Thus, other countries have achieved disease-free status through cattle control and testing measures instead of mass culls of wildlife. This brings us back to the basic question of why, despite this evidence, the NFU, CA and current Defra administration remain wedded to the cull? The NFU is said by Dyer to have economic interests in badger culling (p34), yet the weight of evidence strongly suggests that in the long run at least both the industry and government are wasting their money with this approach. Indeed, Dyer puts his faith in spiralling costs to put an end to it. So the critical question of what are the economic interests in badger culling is a complex, ambiguous matter that needs further analysis. There is clearly more to this than meets the eye. In conclusion, Badgered to Death is a real page turner about how the cull policy evolved, insofar as it describes a number of people, groups, beliefs and actions that relate to the cull. However, the underlying reasons for pro-cull positions and their ability to dominate government policy – the ‘why’ of the badger cull – remain under-explored. 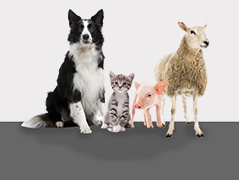 This lack of deeper analysis – which to be fair to Dyer is a fairly universal weakness of the animal protection movement to date – also results in the endorsement of a flawed political strategy of public protest, neglecting the fact that if animal welfare values have no institutionalised representation within the government, then the public’s call for better protection is likely to fall on deaf ears. Protest on its own is never enough. For the sake not only of badgers but for every one of the hundreds of millions of animals that suffer harm at human hands in Britain every year, animal advocates really must develop a more sophisticated approach to achieving the necessary social and political changes. Nevertheless, despite these analytical shortcomings, Badgered to Death represents an enlightening and entertaining primer to the topic of the badger cull. Buy Badgered to Death direct from Canbury Press here.